Remember Russian ice bar Balalaika down the steps from Wyndham Street? The one whose only real purpose was to cool people down on hot summer nights? The establishment is gone now and in its place stands Aka, a Japanese restaurant and lounge that stays open as late as 5am on weekends. With its warm eggshell colours and soft shapes, the huge space very easily transforms from a dinner destination to a chic lounge bar. Soft house music helps set the scene before the big gun DJs arrive later in the evening. But really, we’re here for the food, and the menu is vast; a little too vast, maybe, which can be intimidating. On the staff’s recommendation, we go for the set menu ($680) and also order a few extra dishes to share. The eight-course set is more than adequate on its own for two. 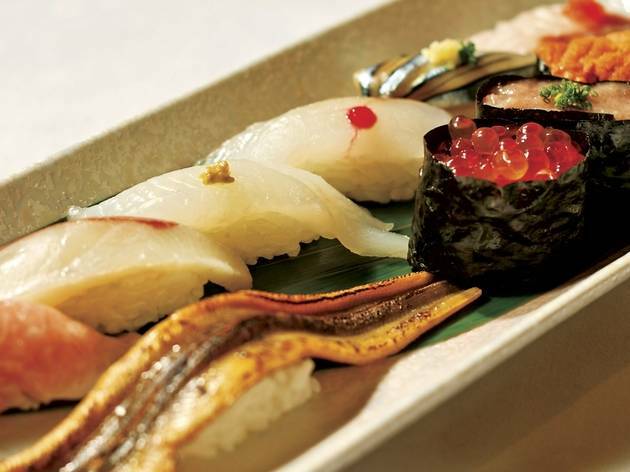 Highlights include the wa fu salada – a simple salad dressed in a gorgeous yuzu ponzu sauce. 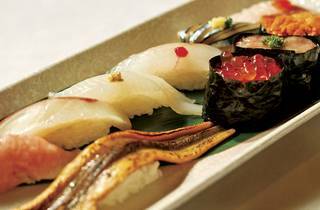 We’re also impressed with the assorted sashimi, nigiri sushi (the swordfish is especially delicious), comforting homemade udon noodles and definitely the black sesame ice cream. If ordering à la carte, the chicken yakitori ($35) and asparagus and bacon rolls ($65) are delicious but steer clear of the urume iwashi ($80), little crispy sardines that taste burnt. The bar bar chirashi ($220), although on the expensive side, is more than worth it and boasts seven types of raw fish, diced avocado and egg served atop sticky sushi rice. Add a little soy sauce, wasabi and ginger, and you won’t want for anything else. M/F, LKF Tower, 55 D’Aguilar St, Central, 2840 0007; aka.am. Sun-Tue midday-2am & Wed-Sat midday-5am. Dinner for two: around $1,200.